My mailbox was vandalized during the night. 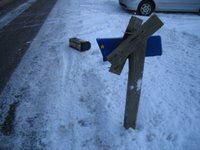 The post and framework was damaged and the mailbox was left on the side of the road. 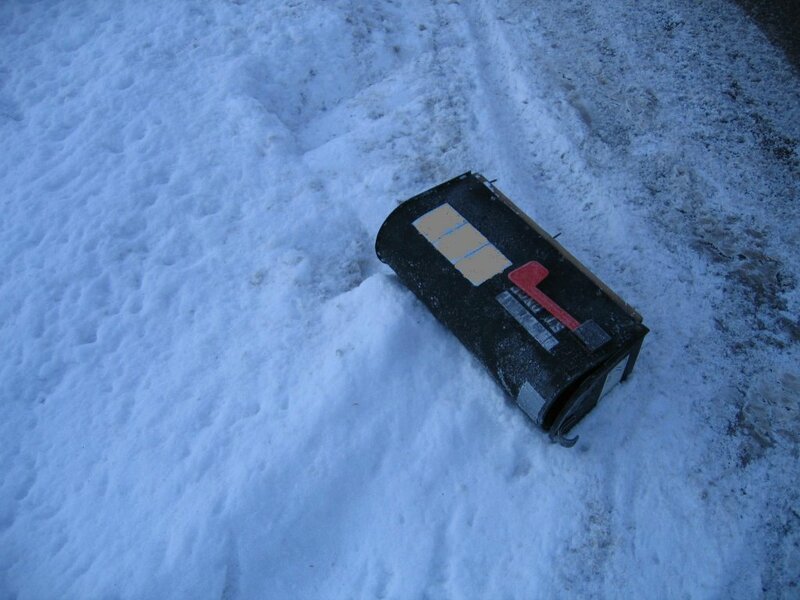 It's going to take some work to put it back together. 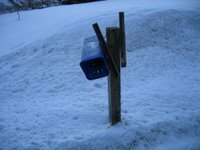 I think the box will be salvageable and I will not have to buy a new one. Since, it's pretty cold to work out there, I will wait till it warms up a little. In the mean time, I will not receive any mail. 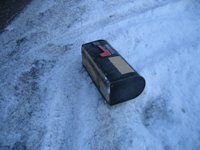 This is the 2nd mailbox vandalism we've encountered in the last couple of years. 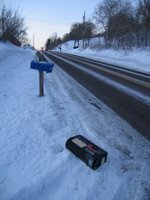 I called the Police to report this matter but they didn't seem to care. 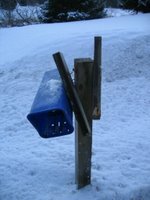 My neighbour's mailbox was vandalized as well. 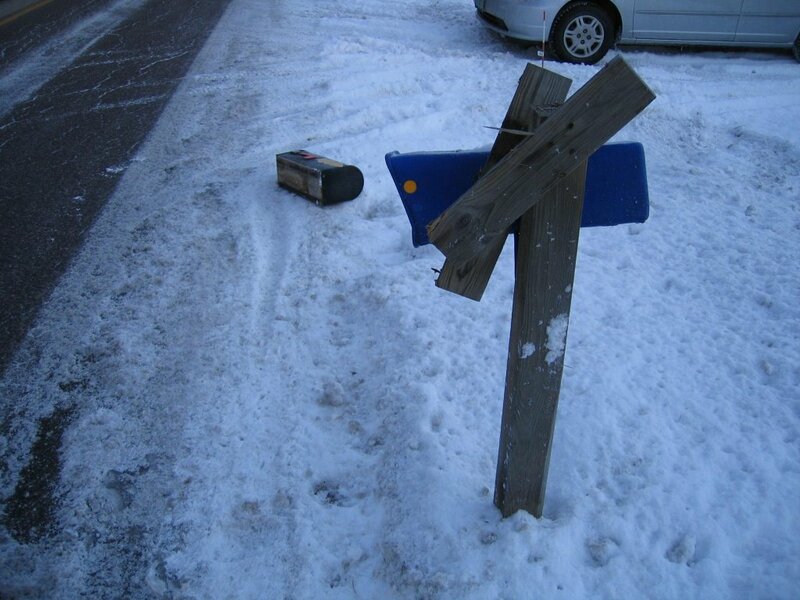 No one vandalizes an Indian's Mailbox and gets a way with it. Find out who they are and delete their e-mail. No mercy. Dude, Welcome to Vermont! 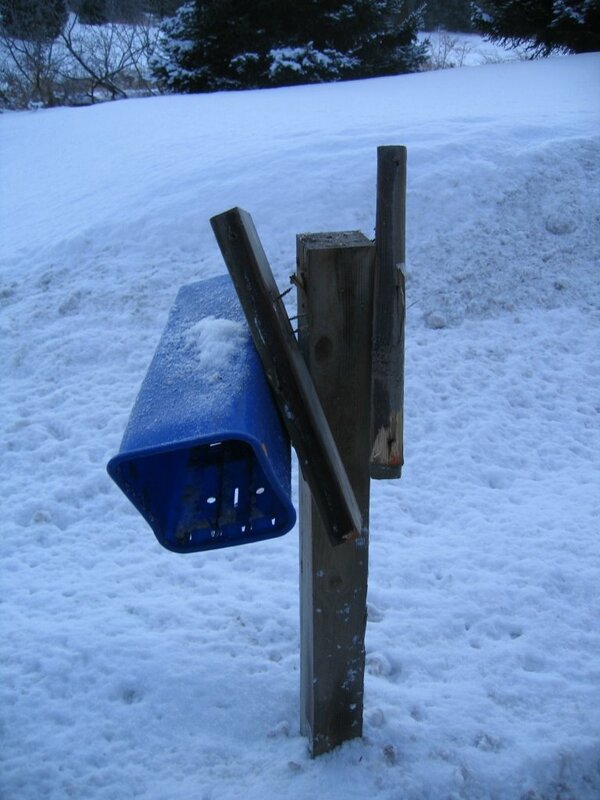 Haven't you ever played mailbox baseball before?